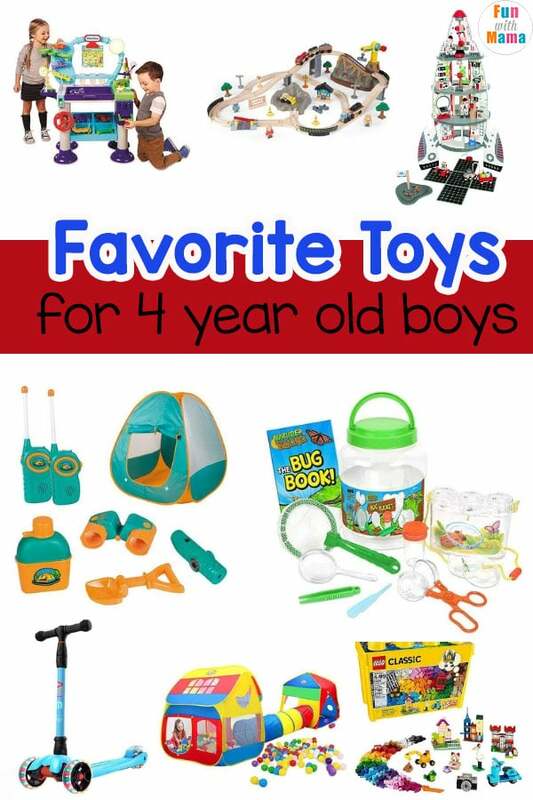 These are the best toys for 4 year old boys! 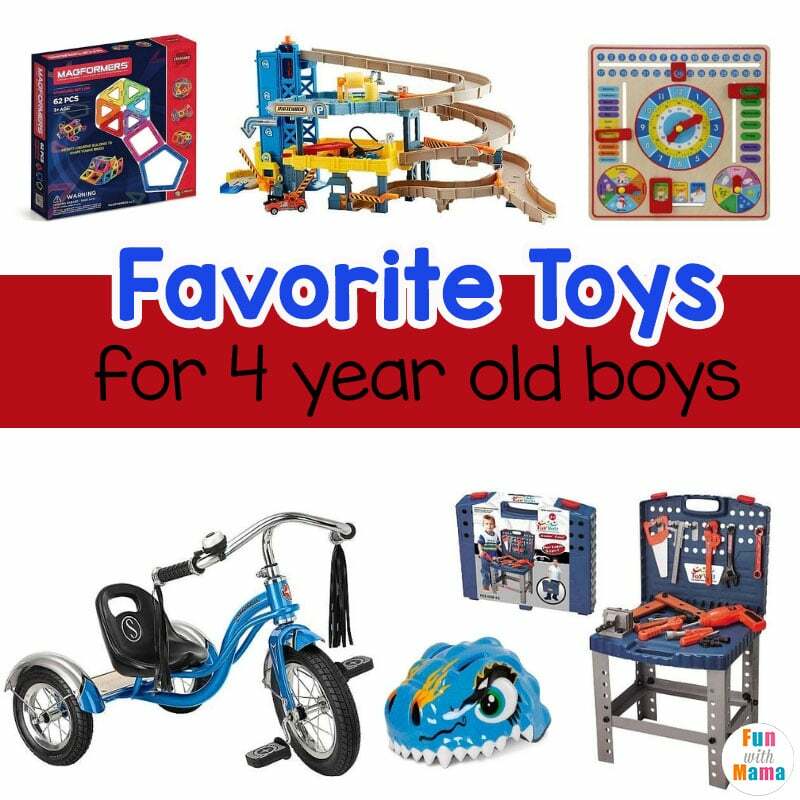 With so many toy options available, it’s hard sometimes to come up with a good idea for a birthday or Christmas present for your 4 year old boys. 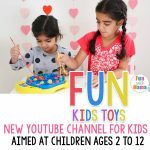 We have hand-picked each and every toy for this toy guide with age appropriate toys for your children. 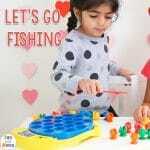 Here you will find an array of toys, from building toys that promote fine motor and cognitive skills, first board games promoting teamwork to outdoor toys that assist furthering their gross motor skills. 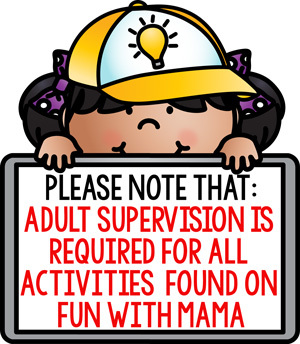 And, all of the toys you can find here are high quality toys which grow with your child. We start our recommended toys for 4 year old boys list with a classic toy – LEGO Classic Large Creative Brick Box. There are so many benefits of using building blocks, from strengtening fine motor skills to developing cognitive skills, and for this reason, this type of toy is an essential for every little builder. 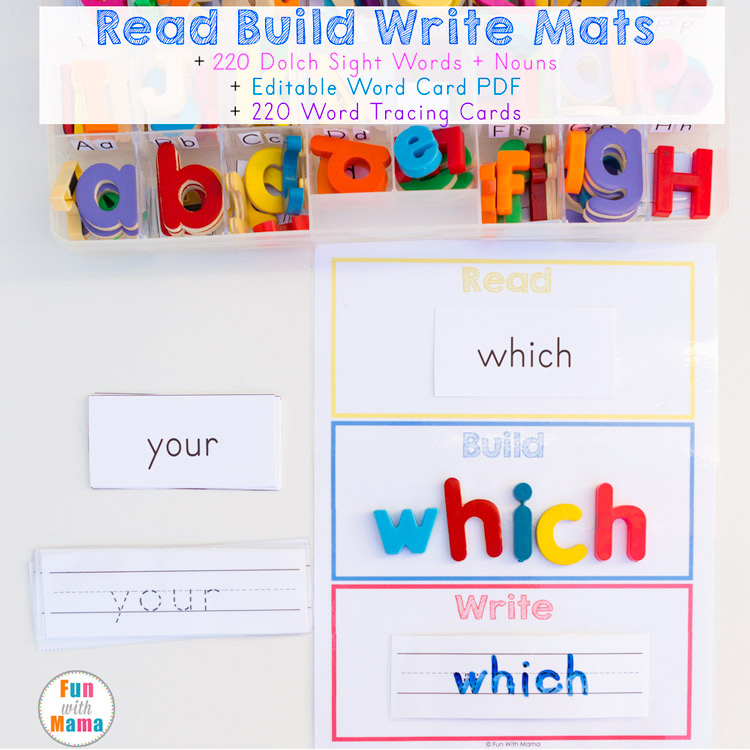 We fell in love with PlayBuild 4 in 1 Table Set on first sight! This table can be used as a building block surface when you use table top with building plates, as an activity table for drawing or playing with other toys when you use plain surface, or even as water and sand table if you remove table top. It also comes with handy storage, for all those little parts which tend to get lost around the home, and 2 chairs. Invite kids to solve a puzzle and build their own dinosaurs! Perfect toy to share with friends who love dinosaurs as much as your kids. Dinosaur Toy Kit helps children to improve hand-eye coordination and to evolve their problem solving skills. 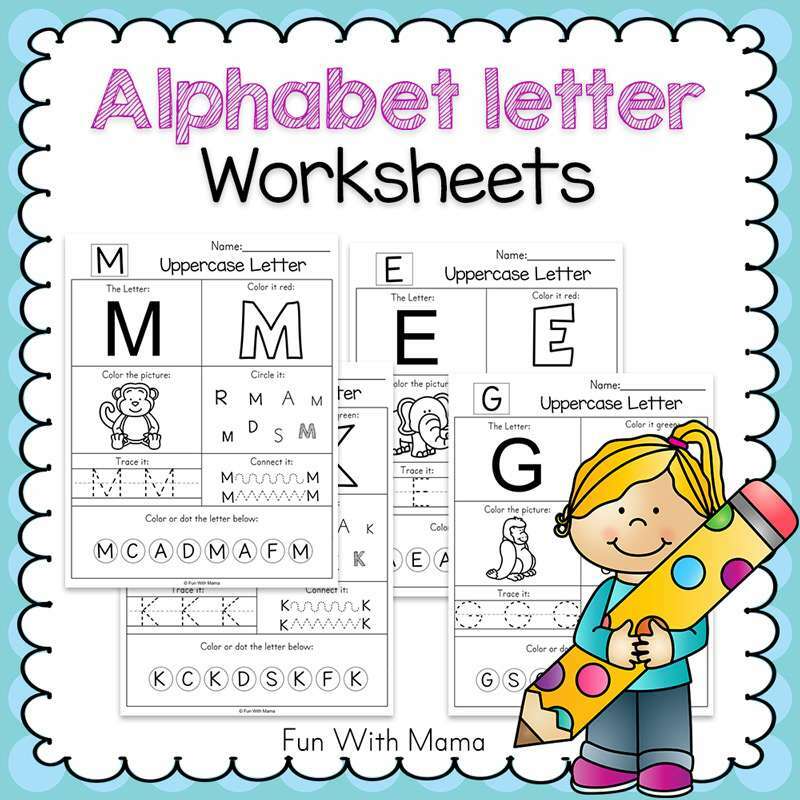 Book with coloring pages and facts about dinosaurs is included in this set. Another classic toy, always on top of recommended toy lists for 4 year old children, are Lincoln Logs. 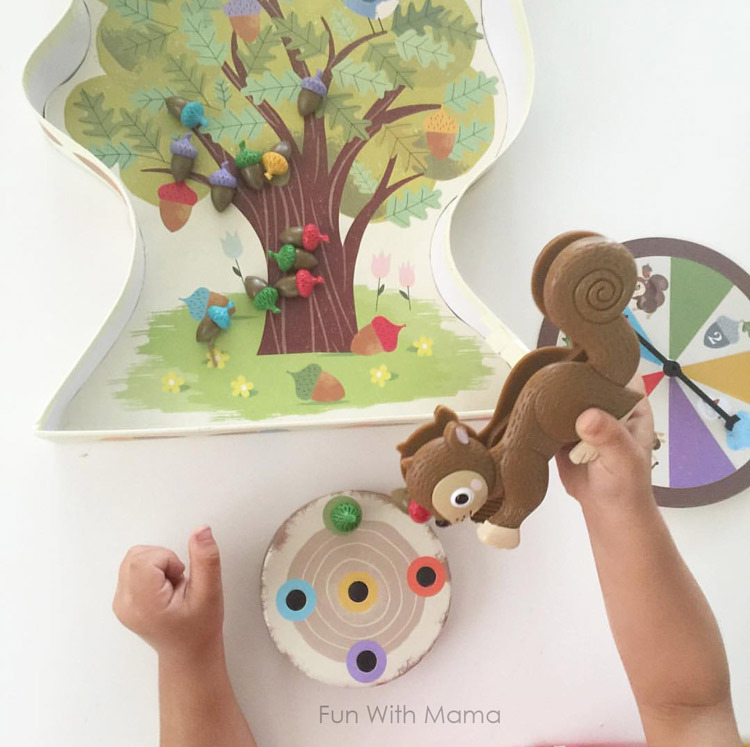 This high quality wooden toy helps children with strengthening hand-eye coordination, fine motor skills, problem-solving skills, spatial awareness and exercise their imagination! 153 pieces set comes in handy tin can where kids can store pieces after playtime. Train sets are always loved and often used by kids. Among many train sets available on market, we choose KidKraft Bucket Construction Train Set because, along with durable wooden double-sided tracks, this set also holds numerous acessories. This allows children to play with parts of the train set even without putting together tracks each time. Storage bucket doesn’t take lots of space and all pieces fit inside perfectly. When my son was younger, the train was a central part of our toy room. For kids who already have wooden or brick based building blocks, spice up their building experience with Magformers magnetic building toy! With endless building options, magnetic forms are perfect for improving child’s creativity. Good size for little hands makes pieces easy to handle. Even though this is on my list of best toys for 4 year old boys, it is a wonderful set for children 2 years and up. For little ones who are interested in a space exploration, Hape Discovery Space Center will provide learning about life in space in fun, hands-on way. Space center is great toy to accompany story-telling time after reading their favorite books about space or aliens, and it also encourages them to come up with their original stories and scenarios. If your child is following you around when you do little repairs around the home, it’s time to get him his own toolset! We love Mega ToyBrand Premium Workbench because you can pack up everything in few minutes, pack the whole workbench in a suitcase and take it along with you! Set includes whole range of realistic nuts and screws of varying sizes, as well as a hammer, a saw and an amazing electronic drill that will keep them busy for hours! Encourage little scientists with their own lab center! Little Tikes STEM Jr. Wonder Lab works wonders for homeschoolers, although it will find its place in preschool and kindergarten as well. Helpful with science, technology, engineering and math early learning, Wonder Lab includes 20 fun, hands-on STEM experiments using common household ingredients. If you lack space in your home for Wonder Lab, great alternative is Kids First Science Laboratory Kit. 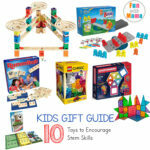 In this set 24 tools, a 16 page full-color parent guide and 10 illustrated experiment cards are included, and all of them can be stored inside a plastic container that comes with this toy. At the age of 4, children become more interested in science. My kids love using their science lab coat and science toys are always amongst my kids favorite toys for 4 year olds. Head out for a bug hunt! Nature Exploration Set includes variety of tools for catching little crawlers (net, tongs or twizzers), bug book and magnifying glass to study bugs in more detail, along with habitat and other helpful items to store caught creatures for further exploration after returning home. During hours of fun imaginative play, kids will enjoy playing with Matchbox Mission 4-Level Garage Playset. This play set comes with a car wash, a repair station, and a gas station. And there is also a working elevator! Garage playset is even large enough to be used by more than one child and it’s compatible with other Matchbox and Hot Wheels cars and trucks. Cars are always fun toys for 4 year old boys because their imagination takes it to another level! 13. Melissa & Doug School Time! Many younger kids with older siblings are eager for time to go faster in order for them to start going to school. If you have such an eager child, get them Melissa & Doug School Time! 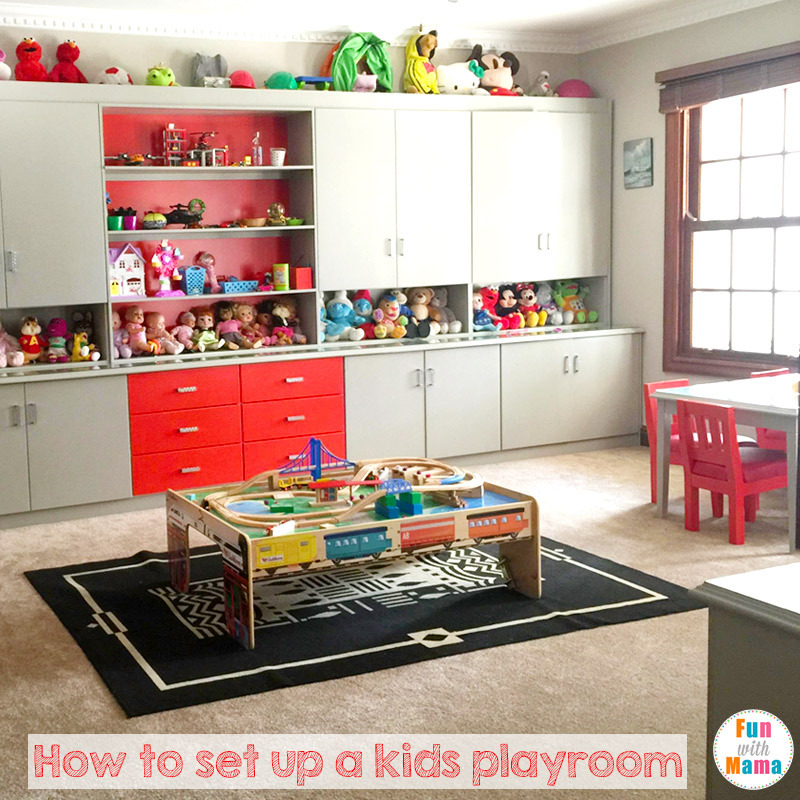 classroom play set to let pretend play going to school just like their siblings! Play set features drop-down teacher desk and student desk to create classroom environment, 150 reusable stickers, 12 pattern blocks, bell, timer, lesson plan guide, storybook, 2 reusable double-sided boards and 2 dry-erase markers. And all the pieces store inside the box for fun on the go. Does your child mix yesterday and tomorrow? Or, you would like to help them learn days of the week? Ryans Room All About Today Calendar Board brings one neat set to introduce concepts of time, days of the week, months, seasons, weather and more. This wooden activity board is full of fun elements: clock with moving hands; sliding bars to indicate months, days of the week, and dates, season arrow, time of the day sliding window, and illustrated weather diagram. It is somewhat hard to find a board game for 4 year olds but with Richard Scarry’s Busytown, Eye Found It children will have so much fun and build confidence every time they say, “I found it!”. This board game encourages teamwork, promotes attention to small details and reinforces object identification and matching skills. If you’re looking for game siblings can share, this is a perfect match! 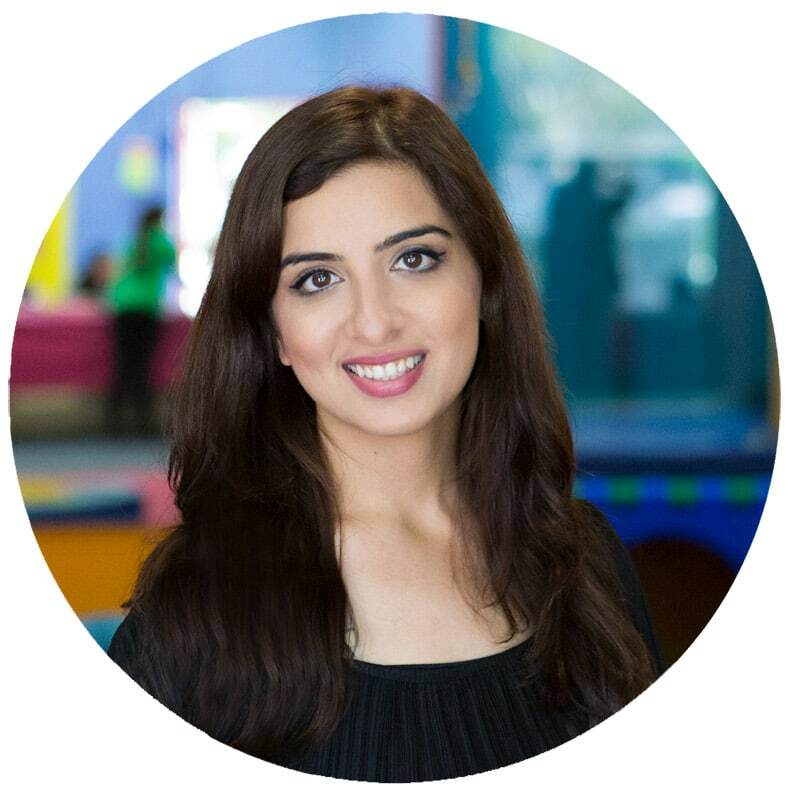 If your child is learning to count or expresses desire to learn addition, Zingo 1-2-3 Number Bingo Game is here to help! This fun number bingo game helps children develop counting, simple addition, number sense and word recognition skills in easy to understand way. This fast-paced game will have the whole family yelling “1-2-3 PLAY”. Like we all know from our own experience, 4 year olds are super active and full of energy. For this reason, we are going to introduce several toys which will help them burn that extra energy and promote gross motor skills. First of them is Celemoon Baseball Play Set. 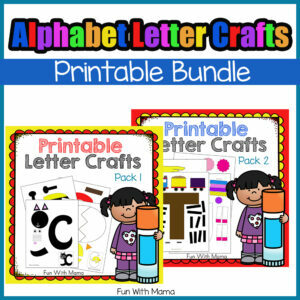 This lightweight set made of soft foam is perfect for beginners! We love adjustable toys! Great example is Step2 Shootin’ Hoops Junior Basketball Set with adjustable basketball hoop where height raises from a 30-inch height (ground to rim) to a 48-inch height. Just the right size every time for your growing athlete. This is a great compliment to any yard, driveway or kids playroom. Many kids find their first bike-riding experience challenging. With Schwinn Roadster Tricycle they will quicky overcome all hurdles! This vintage beauty has molded seat which moves forwards and backwards to adjust for growing legs so kids can keep using this tricycle for couple years. Another option for riding would be a scooter. We choose Allek Kick Scooter because it’s adjustable and children from age 3 to 14 can use it. It’s easy to assamble and dissamble with single button which makes this scooter easy to take along everywhere. And the best is that this particular scooter has lights on wheels providing an extra safety feature when the kids go out at night to ride in the driveway! For children who love to spend time outdoors, Giant 40″ Saucer Tree Swing is a great choice for a present! This swing is big enough for a single adult and/or multiple kids, easy to set up in your yard on any horizontal branch or pole. We love this saurcer swing because no little legs can fall through as opposed to the swing with rope and netting which makes it super safe. Do you enjoy going camping as a family? Sometimes there is not enough time to spend outdoors as a family due to our busy lives. With Tent Camping Set kids can experience their own outdoor adventures in your backyard or nearby park. Let them invite friends for even more fun experience! A play tent and a house play tent connected with crawling tunnel are parts of Pop-Up Play Tent Set. Convinient set can be easily dissambled when not in use, all you need to do is fold and store in a bag. You can use parts of this set if you don’t have enough space in child’s room during colder seasons and use all of them in your backyard when weather is warmer. I’m yet to see a child who doesn’t like to jump on a trampoline! With most trampolines, space is an issue since they take up so much space and in most cases, it’s hard to use them indoors. This is not a problem with Little Tikes 3′ Trampoline! Put it inside your child’s room for year-round jumping fun! Not only is this one of the best toys for 4 year old boys, my daughter actually ADORES her trampoline and it is a must have to get those wiggles out. Safety first! If your child already has a bike, scooter or generally, likes to spend time outdoors climbing and jumping, get them this awesome dinosaur safety helmet! Let them roar through the neighborhood and stay safe! 4 year olds begin to LOVE board games a lot and finding age appropriate games are important. Not only is Sneaky Squirrel fun, my kids loved Don’t Break The Ice too. 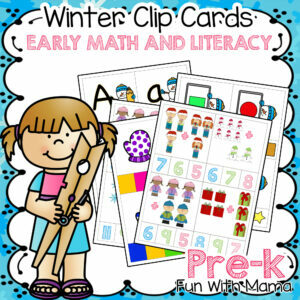 I have a whole list of favorite toddler and preschool board games. Using a spin painter is another fun activity. Yes, it’s a little messy but children enjoy their unique creations. 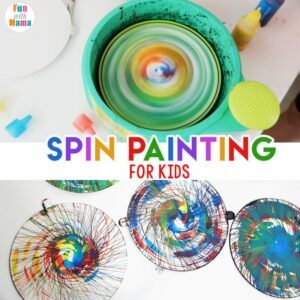 Don’t have a spin painter? You could also use a salad spinner! 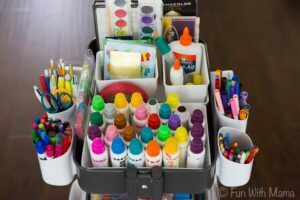 The art easel is such a fun way for kids to role play (pretending to be a teacher), create art, paint and so much more. This is a must have in your home. Check out our favorite art supplies here. I have an art and drawing list here on Amazon that you can check out too. I include my favorite markers, trays, art books, etc. 4 year old girls will love this too! 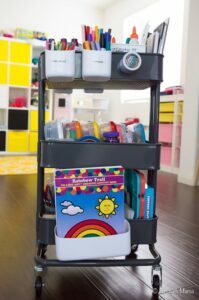 The Art Cart takes center stage in our playroom. 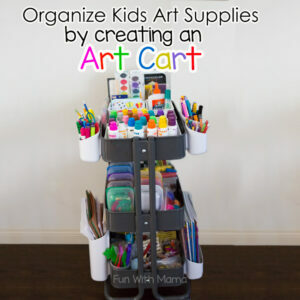 If you are looking for a gift that will give your child YEARS of fun and encourage creativity then you need to check out my Art Cart post. 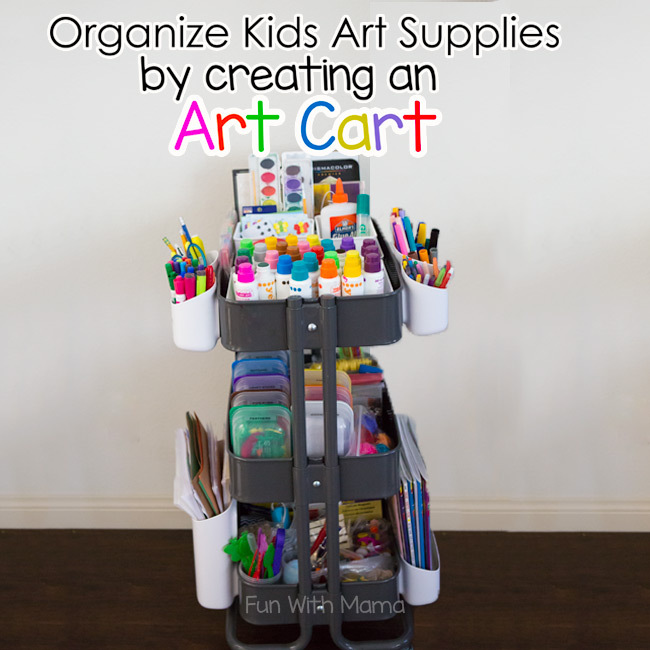 Learn how to create a kids art cart. Sequence is an exciting strategy game that is a great first board game. You’ll be surprised to see how 4 year old boys and 4 year old girls get SO engrossed in this one. Who says a toy for children can only be enjoyed by children? This pie face game is SO much fun because of all those laughs! Who is going to get hit in the face with some whipped cream? Oh the anticipation, the wonder, the excitement! This one’s great to play with the whole family. Have grandma coming over? Let her play too! Does your four year old son have a toy that isn’t on my list of favorite toys for 4 year old boys? Let me know in the comments what I should add! 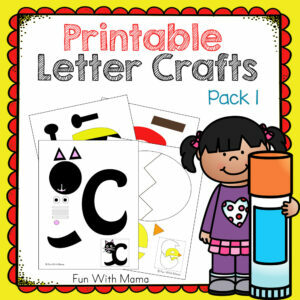 « Letter Crafts With Silhouette CUTTING Files too!